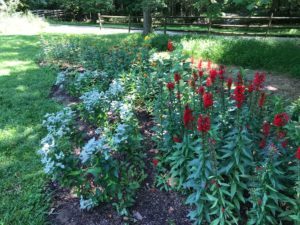 The gardens at Wolf Trap support and encourage biodiversity. They enhance the efficient use of rainwater, create habitat for pollinators, birds and other animals and insects. Friends of Wolf Trap (FOWT) helps maintain and support the multiple gardens at Wolf Trap. 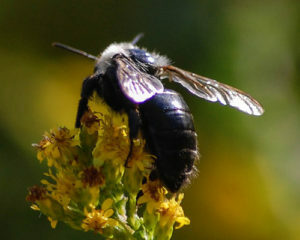 The Park’s 95 bees and 45 butterfly species in the multiple gardens at Wolf Trap. The gardens support biodiversity and prevent erosion while promoting native flowers, herbs and vegetables. Located at the bottom of the hill, behind the Filene Center. 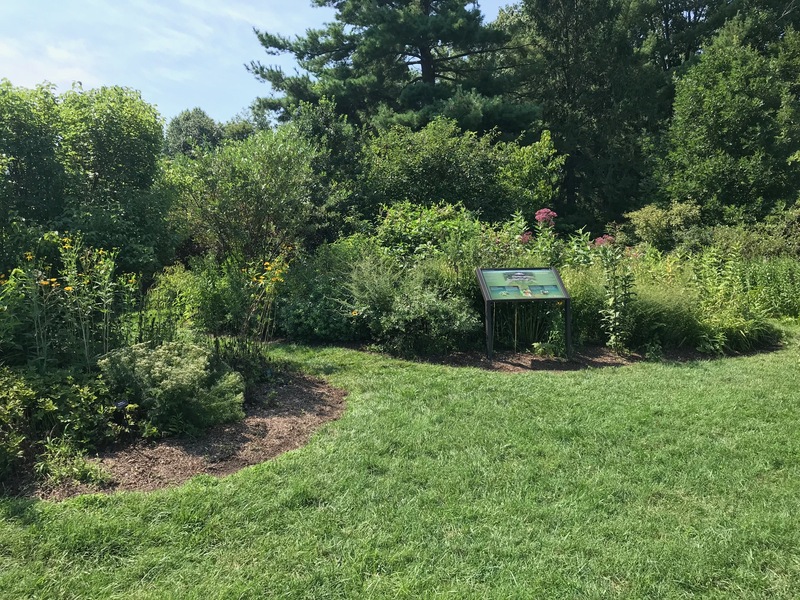 This shade garden landscape, with a variety of plants and trees, is supported and maintained by volunteer Green Spring Master Gardeners & Naturalists. Established in 2012, this garden is located in the sunken bowl area at the front of the park. Over 21,000 native flowers and grasses (41 species) were planted (and are maintained) in this garden. 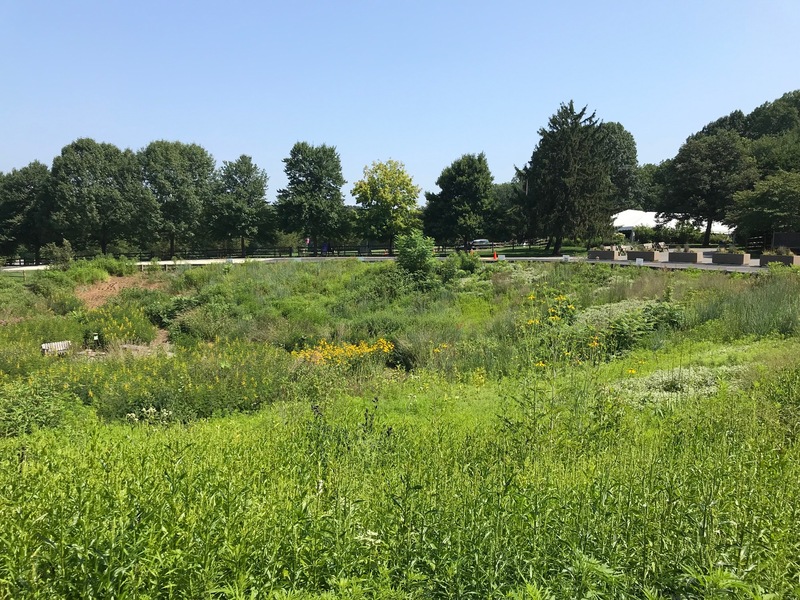 In Spring 2018, FOWT observed Fairfax County firefighters perform a controlled burn of the meadow garden. Located to the right of the box office. 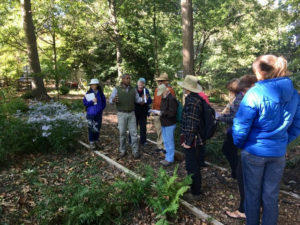 This unique area of native plants includes over 100 species of tree, shrubs, flowers, grasses and ferns. Located at the bottom of the hill, between the shade garden and the creek. Employees from a local Apple Store worked with FOWT Board Member, Mike Moran, to create and plant this garden. 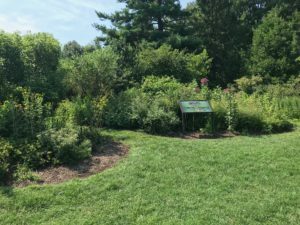 The plants in this garden are specifically meant to attract pollinators and butterflies.